Request for double rooms not specified will be considered double bed. Check in time is at 14:00 hrs and Check Out at 10:00 hrs. After these hours, until 4:00 pm will be billed half rate and from 4:00 pm onwards full rate. Cancellation policy: Reservations must be canceled according to the following details: LOW: 7 days before arrival, AVERAGE: 21 days before arrival, HIGH: 45 days before arrival, otherwise the 100% penalty will apply. In case of no-show will be applied the penalty of 100% of the stay. 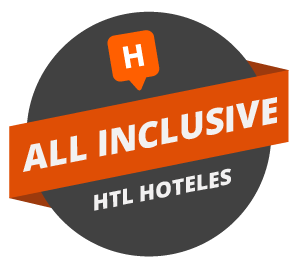 Note: Reservations cancellation or modification requests must be made in a timely manner via e-mail to reservas.laguna@htlhoteles.com, in order to validate the reservation, you must receive an affirmative answer from our reservation center. The credit card details left in guarantee must be valid to confirm your reservation, otherwise the same can be discharged without prior notice.